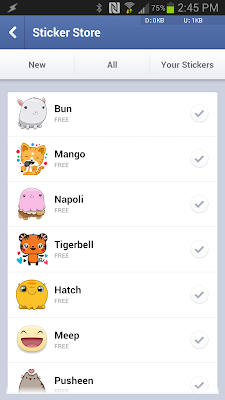 Facebook Messenger app updated for Android now supports new stickers feature, now you can send cool stickers to your Friend with your Android devices. To use this feature you have to update your Facebook messenger app, then open Facebook messenger and just tap the smiley icon into your Facebok messenger. 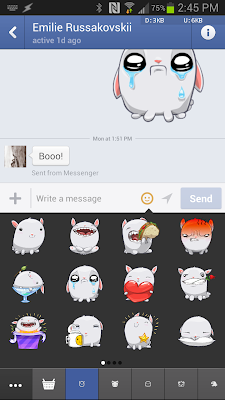 Then choose awesome stickers and sent it to your friends.